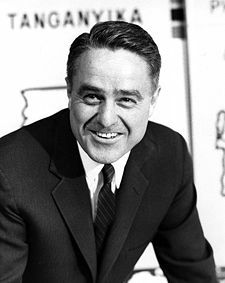 It took only a walk with Sargent Shriver to learn how deeply loved and loving he was. Peace Corps volunteers from the the program that Shriver helped to start in 1961 would stop and thank him, embrace him and tell him stories about their life-changing service. Countless others approached him: people whose lives were changed because of the anti-poverty programs that Shriver started in the Johnson administration – Legal Services, Head Start, Job Corps, Community Action,VISTA, Upward Bound. Or the parents of children in Special Olympics, the program began by Shriver and his wife, Eunice, that revolutionized the way we treat those with mental disabilities.